I have been using iMindmap since it first arrived on the scene. I use all the different versions daily from my iPhone/iPad to the my Apple MAC desktop for everything in my personal and private life. 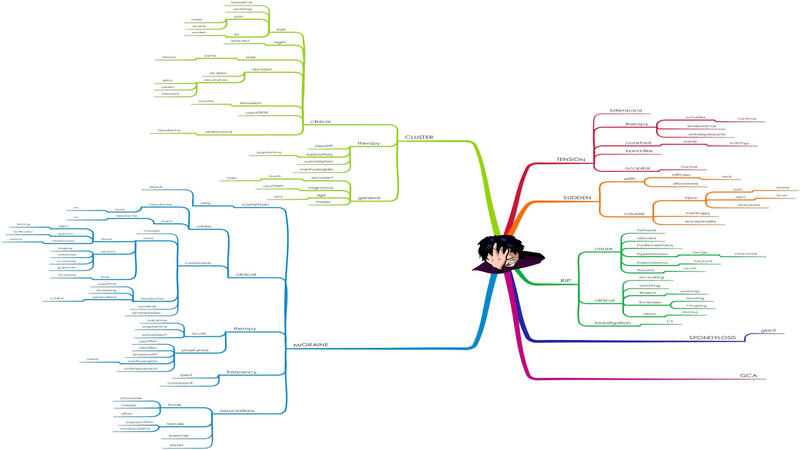 This mindmap was produced using the very new and totally awesome iMindmap v5! As a person who has suffered badly with migraines and headaches over the years I have never had a headache using iMindmap. Watch this space for more medical maps in the next few weeks. The information was taken from the Mindmaps in Medicine textbook.